It is spring and the snakes are beginning to show themselves. The other night while wandering in the rainforest I almost stepped on this large python. It measured about 2.5 m in length and seemed unperturbed so I got up and close! At the time I did not notice the tick just beyond the head. 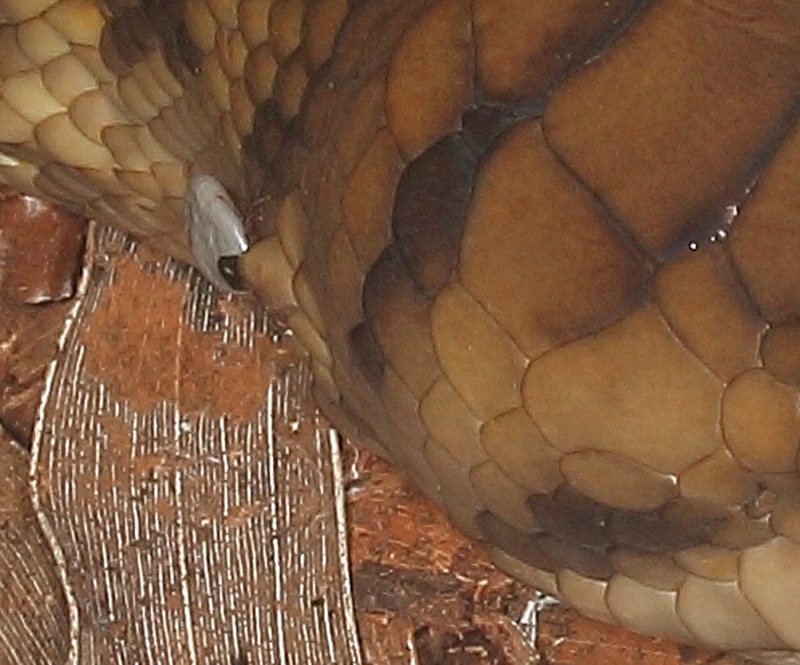 It appears that the snake is getting ready to shed its skin. What happens to the attached ticks when this happens? Do they drop off, or does the skin just fracture around them? Someone will know. The tick is the grey disk. It has not been there for long as it appears to not have fed very much, otherwise it would be balloon-like. 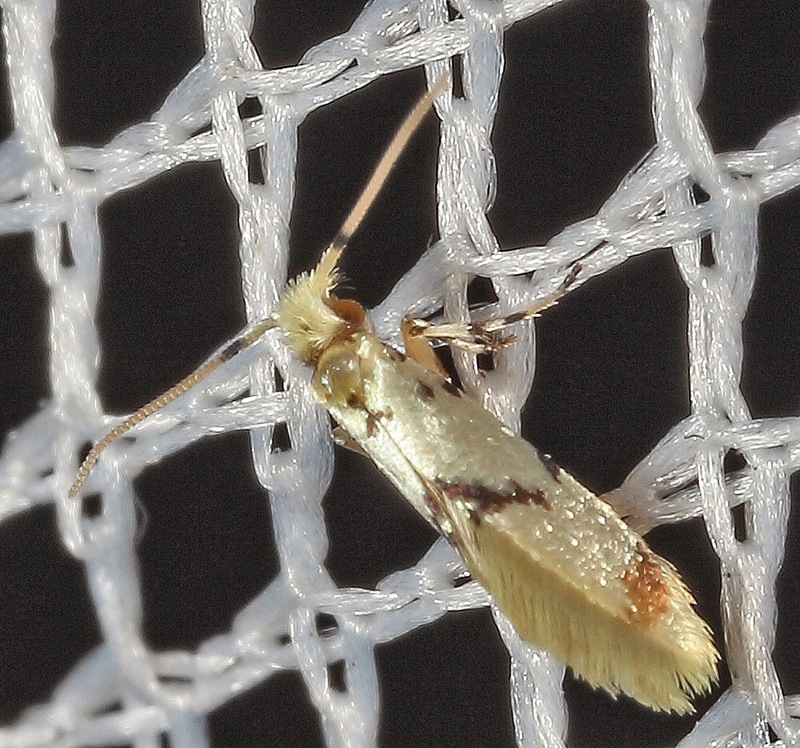 Meet Sabatinca sterops, one of the world's most primitive moths. Fossils of related species in the family Micropterygidae have been found in amber in Lebanon that date back at least 120 million years. But why is it considered "primitive". 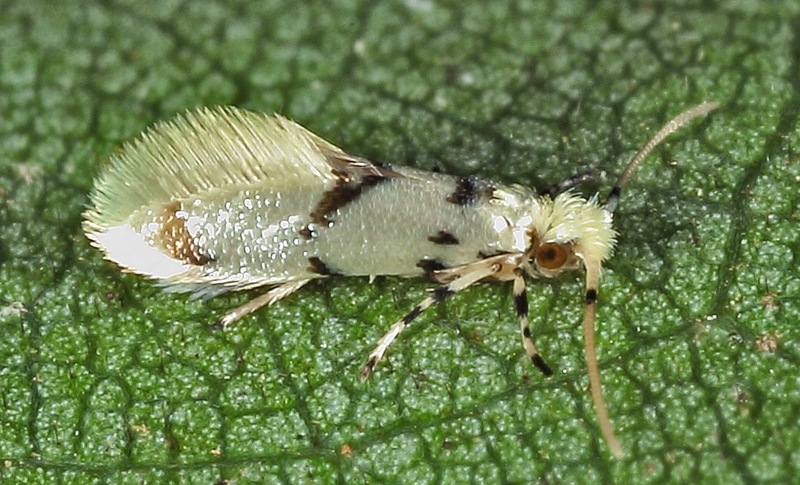 Well, it bears the following combination of characteristics: chewing mouthparts (most Lepidoptera have sucking mouthparts or no mouthparts at all as adults); raised hair-scales and the forewings and hind wings are similar in shape and venation. These are considered basal features in the Lepidoptera. Nine Australian micropterigid species are known. Most occur in eastern rainforests including Tasmania. Several species are purplish or with dark bands and are of similar size. All are presently included in the genus Sabatinca but have been divided into two groups. One, "The Australian Group", includes the "golden species" of which S. sterops is a member. We encountered large numbers of this moth recently on the lower slopes of Mt Lewis (ca. 700 m), Queensland. They were most active dusk and shortly thereafter. Mt Lewis is covered by rainforest and it is incredibly dry at this time of the year. Some saplings are wilting because of the lack of moisture. Larger trees are dropping leaves. the undergrowth of annuals is mostly dead. So it was surprising to see this small moth flying in large numbers in the undergrowth. S. sterops measures only 2.5 mm from head to tip of wings. The adults are said to visit flowers where they feed on pollen. Little is known of the whereabouts of the larvae of many species. Some have been found in rotting logs. It is hard to imagine the tiny caterpillars surviving in the dry soil of the rainforest. They may be associated with liverworts or other primitive plants present on branches or rocks. 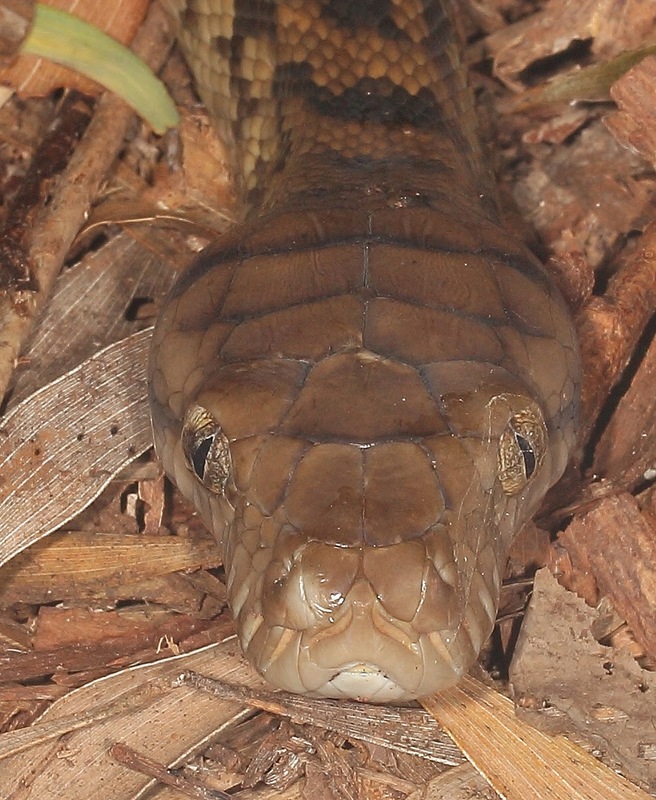 S. sterops is known from specimens taken from Cooktown to Mission Beach, Queensland. With the tens of specimens we found at our site on Mt Lewis, there must be millions of the moths spread over its geographic range. Zborowski, P., Edwards, T. 2007. A Guide to the Australian Moths. CSIRO Publishing, 214 pp. Collingwood, Vic. By the way, Spring is springing and it is good to see some regulars back in the blog business (see Snail's blog noted to the left of this offering). A trip out Dimbulah way seemed slightly less than successful the other night until a I took a closer look at three tiny black and white cockroaches that appeared at the light sheet. It seems they are the second known representatives of what was described as Ectoneura hanitschi (Burmeister). The type was photographed and appears on p. 250 of the cockroach guide. 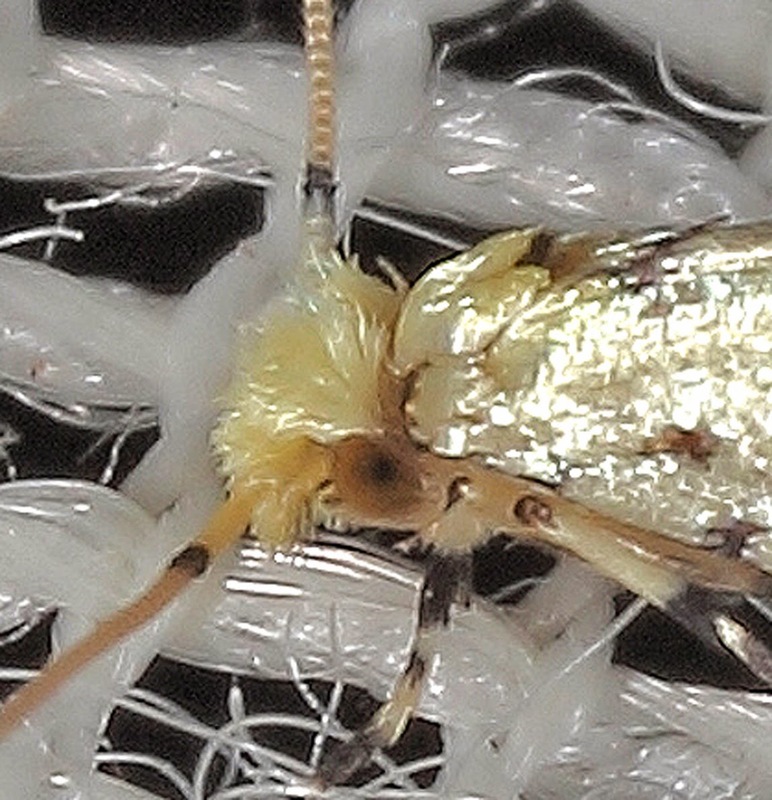 It is a small species measuring only about 5 mm it was attracted to Blacklight on a cool and windy night. This lovely photo by Buck Richardson does not portray the dry, dusty and rather miserable habitat of the foreground. The light sheets were positioned not far from this "idyllic" setting. Trees included several eucalypts, Acacia, Grevillea and several small shrubs. The understory was largely grass, Speargrass, Heteropogon contortus, and Kangaroo Grass, Themeda. There were termite mounds close by and these may harbour this cockroach. But with 3 specimens showing up at light, the cockroaches could spend the day under loose bark or in leaf litter or elsewhere, who knows? A few words about "hanitschi". 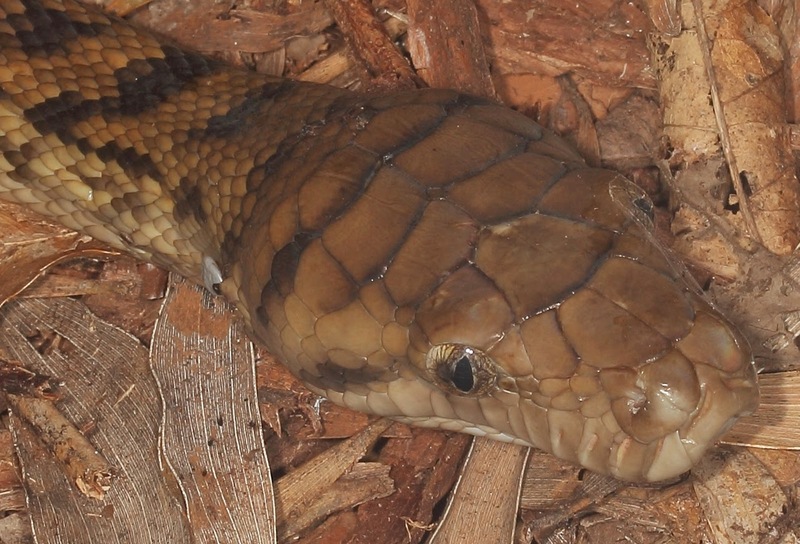 This species was described from Burnside, Northern Territory. This locality is hundreds of kilometres from the Dimbulah site. Burnside is probably in the vicinity of what is now Marrakai, NT. We are a bit unsure of the precise location at this point. The original specimen was collected by Edward Handschin many years ago and described by Princis in 1965 as a "replacement" name for a taxon described by Richard Hanitsch in 1934. The Burnside habitat is probably ecologically similar to the site near Dimbulah. In fact, several katydids reflect a broad distribution across the Top End of Australia. They include Conocephalus upoluensis (Karny), Nicsara bifasciata (Redtenbacher) and Chlorobalius leucoviridis Tepper just to name a few. So it is not entirely surprising to find an insect from two such widely separated localities. 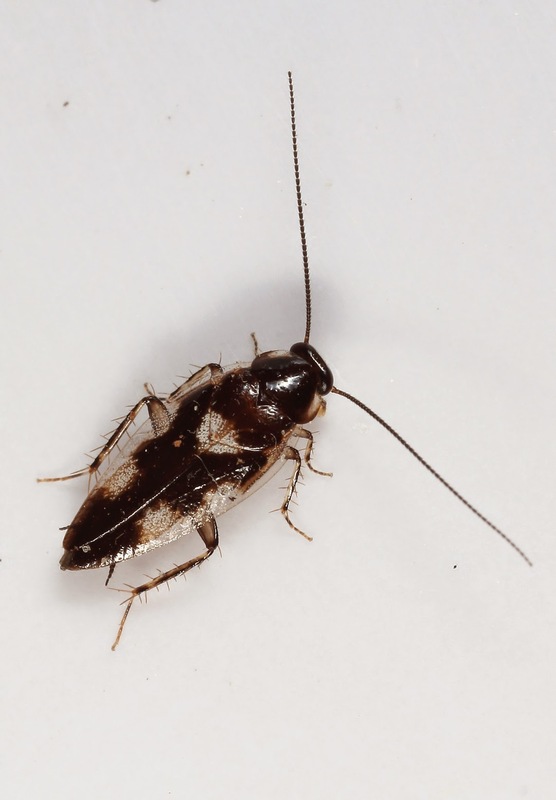 It seems quite possible that this cockroach will be found at locales between the two places should someone care to look. Based on the specimens found near Dimbulah, this cockroach is misplaced in the genus Ectoneura. It is more appropriately ascribed to the related genus Choristima based on the presence of a single apical spine on the fore femur and the minute punctures on the pronotum. Chortistimas are typically more robust than most Ectoneura cockroaches. Seems like an unduly amount of verbiage for a few little cockroaches. But there is a story for all creatures large and small! Rentz, D. 2014. A Guide to the Cockroaches of Australia. CSIRO Publishing 318 pp.